Summer vacation is winding down for area school children , while area teachers, staff and administrators are gearing up for the coming school year. Although students will report on Tuesday, Sept. 1, teachers in the Brodhead School District will attend in-service days Aug. 25, 26, and 27. Albrecht Elementary School will host a back-to-school open house on Thursday, Aug. 27, from 4 to 6 p.m. This is a time for students and parents to meet the teachers for the coming school-year, bring in their school supplies and leave them in the classrooms. The parent-teacher group known as Kid Connection will be on hand to welcome the children with a special treat. The school day for Brodhead students will increase this year by 10 minutes, with a five-minute earlier start time and a five-minute later dismissal time. Also new this year is that all schools in the District will have all doors locked during the school day. Visitors will have to buzz in to enter the school and must check in at the main offices to sign in and receive a visitor’s pass. Students in the Albany School District will have the opportunity to attend the annual “Back-to-School Night” cookout on Thursday, Aug. 27, from 5:30 – 7:30 p.m. The event provides the opportunity for students and parents to meet teachers, see classrooms and drop off school supplies. There is no cost for the meal, but people are encouraged to bring in donations for POPS prizes or to give monetary donations. 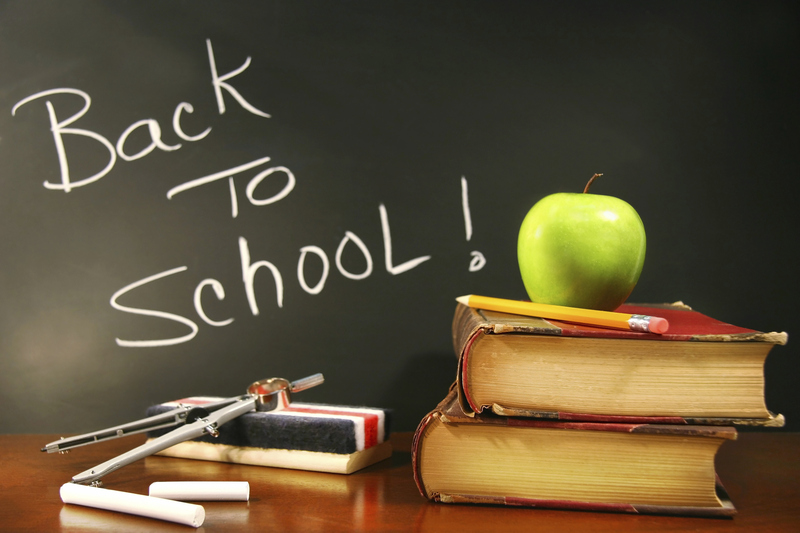 Starting Tuesday, Sept. 1, students in the Albany School District will report for classes at 7:50 a.m. The school day ends at 3:08 p.m. Students will be dismissed each Wednesday at 2:21 p.m. to allow faculty time for collaboration and professional development. Early childhood students will not attend school on Wednesdays. Juda School will also open for the 2015-16 school year on Tuesday, Sept. 1. Regular school hours are 7:50 a.m. – 3:08 p.m. The first day of school will be a full day. A ‘meet and greet your teacher’ will be held on Thursday, Aug. 27, from 1 to 4 p.m., allowing students and parents the opportunity to meet teachers and view classrooms. The Parkview School District will host an open house and ribbon cutting ceremony at the new Parkview Junior High – High School from 5:30 to 7:30 p.m. on Wednesday, Aug. 26. The new school facility will be open for students, parents and community members to view. There may still be some final work to be completed, and unpacking to be done, but this will be the public’s first opportunity to view the new building. An official ribbon cutting ceremony will be held at a later date. Students will report for classes at Parkview on Tuesday, Sept. 1, beginning at 7:50 a.m. Classes end at 3:09 p.m. High school students will have a new schedule this year. Monday, Thursday and Friday will be the traditional schedule, with Tuesday and Wednesday being flextime schedules. Flextime provides an opportunity for students to further develop academic skills outside of assigned classes. Flextime will be at the end of the day, lasting 49 minutes.